Whales and dolphins may not get much hype when we talk about species in Raja Ampat, but they are in fact abundant in the region. 31 species of whales and dolphins are found in Indonesia and 16 of those are regularly seen in Raja Ampat, sometimes even from your over-water bungalow at Papua Paradise Eco Resort. 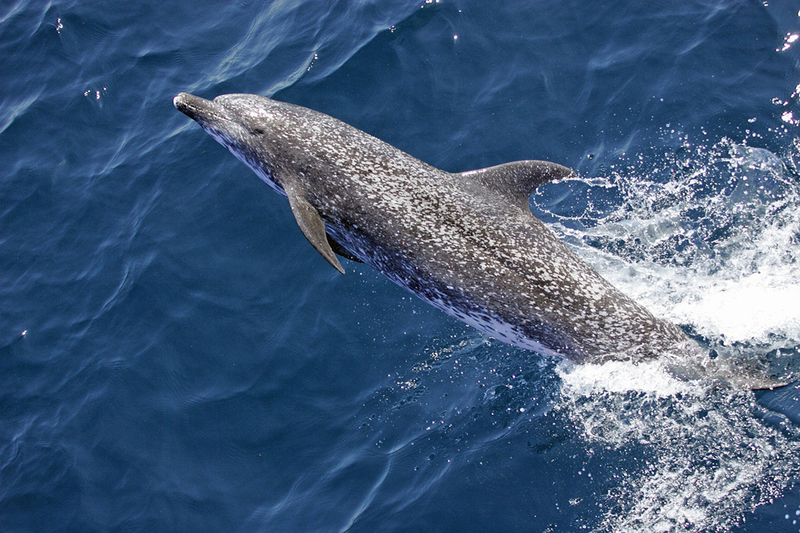 Indo-Pacific bottlenose, spinner, Fraser’s and spotted dolphins are some of the most common sights in the area. 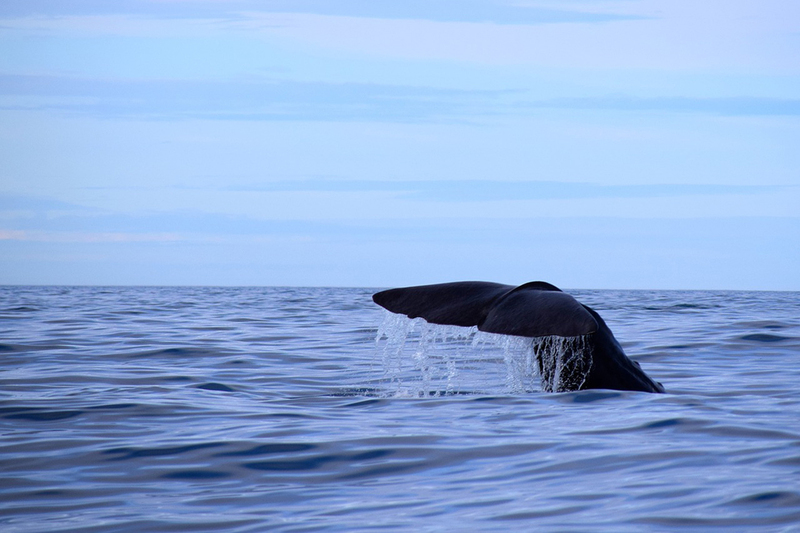 Large pods of short-finned pilot whales, sperm and Bryde’s whales and even an orca or two have been seen. Are you ready for some whale and dolphin spotting in Raja Ampat? What are whales and dolphins doing in Raja Ampat? Marine mammals are generally found in colder parts of the world like the nutrient-rich waters of the poles. They are known to make long migrations between feeding grounds, but it seems unlikely for them to spend time in the warm waters of Raja Ampat. There is very little observation and research as to why these animals are in Raja Ampat. However, what there is seems to suggest that whales and dolphins are mating and calving in abundant waters of the region. 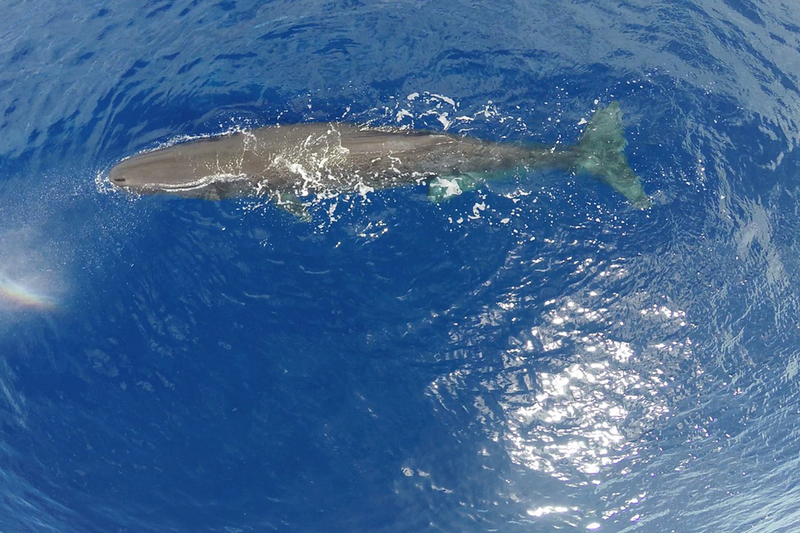 Sperm whales and Bryde’s whales have been observed mating and it can be assumed that other species are doing the same. The Dampier and Segwin Straits are very important cetacean migration routes thanks to the strong currents of the Indonesian Flowthrough. Large whales have been observed migrating to this area from both the Pacific and Indian Oceans. Traveling between dive sites with Gangga Divers you will have the opportunity to watch for whales and dolphins. It is well known that marine mammals play a key role in the maintenance of healthy ecosystems. In areas where whales and dolphins are numerous, marine life tends to thrive. There are a couple of reasons for this; predator-prey interactions, and the churning up of nutrients. The small dolphins that are so plentiful in Raja Ampat both prey on fish and are preyed upon by larger whales and sharks. Therefore, they play a key role in the food chain as both predator and prey. Large whales play their own special role in the health of the ecosystem when they dive to up to 3,000 metres and return to the ocean’s surface. On their ascent they bring with them essential deep-sea nutrients that wouldn’t otherwise make it to the shallower waters. Because there hasn’t been very much research undertaken on the whales and dolphins of Raja Ampat, there are no guidelines for their conservation. Many injured whales have spotted with scars and severed dorsal fins indicative of collisions with boats or propellers. Cetacean populations are also under threat from government oil and gas projects. 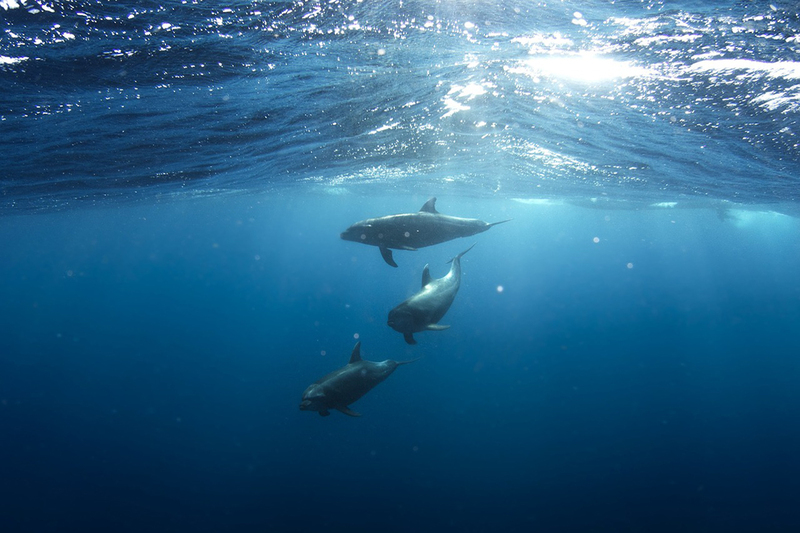 Seismic testing and other underwater noise pollution can disturb whale and dolphin populations and their prey. Without proper conservation laws and areas these projects can have devastating effects on their numbers. However, with the positive advances for other marine species in Raja Ampat in recent years, we can feel encouraged that whale and dolphins can be kept safe in the region. Are You Interested in Seeing the Whales and Dolphins of Raja Ampat? Whale and dolphin sighting may not be your first thought when you book a trip to Raja Ampat, but perhaps now it could be. 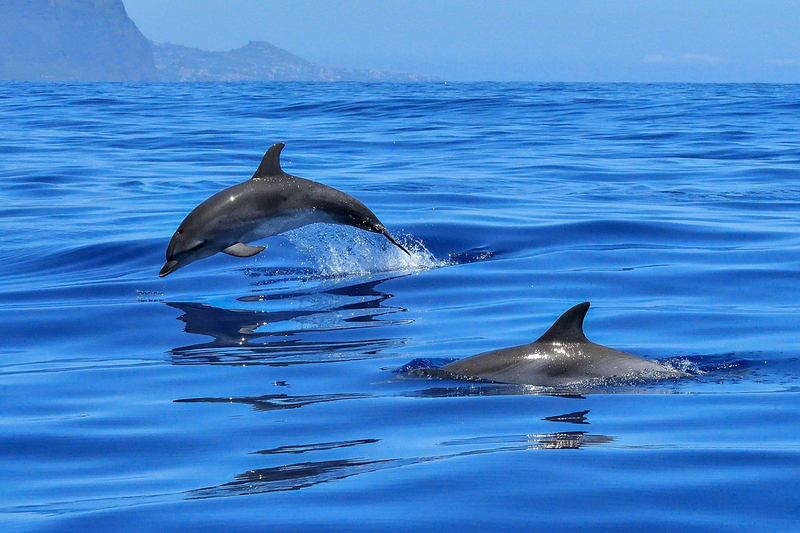 This is an opportunity to see cetaceans in an unexpected environment – a marine wonderland! Leave us a question or comment below if you’d like to know more about how to see whales and dolphins in Raja Ampat.